Natixis Asset Management has started testing the FundsDLT blockchain-powered platform for fund managers. The FundsDLT concept, announced last December in Luxembourg, is a collaboration between Fundsquare, IT firm InTech and KPMG Luxembourg. The platform will enable asset managers to sell funds through a new distribution channel, while doing all the other usual blockchain stuff – i.e. reduce administration costs and the time to process transactions. According to Natixis, the model is applicable to a wide range of funds and does not depend on the jurisdiction. Matthieu Duncan, CEO of Natixis Asset Management, says it is looking into blockchain “across several of its business lines” and the technology “shows great opportunities in terms of enhancing distribution mechanisms in the asset management industry”. The test phase will be completed in June. 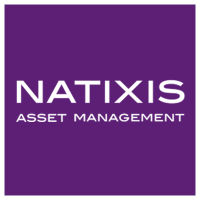 Natixis Asset Management says it has €358 billion of assets as of 31 March 2017 on behalf of institutional and retail clients. It has 699 employees. The firm is an affiliate of Natixis Global Asset Management, which in turn is part of the French Natixis financial group. Fundsquare was founded in June 2013 by the Luxembourg Stock Exchange to create a market infrastructure to support and standardise cross-border distribution of investment funds. Features BNP Paribas Asset Management, Falcon Private Bank and the Gibraltar Blockchain Exchange. Putting the fun in FundsDLT.